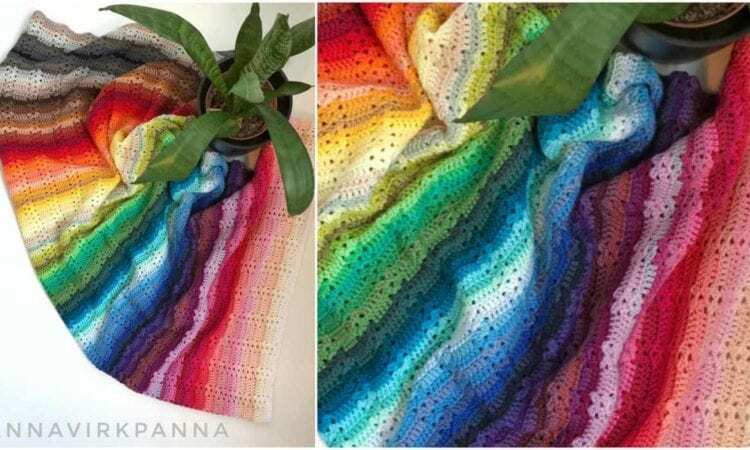 This stunning blanket is even more colourful than the rainbow. This eye-catcher was crocheted from 109 colors of Scheepjes Catona – each color only in one row. From the idea for a blanket it became a bedspread, however you can easily modify this pattern to create any size of crochet project. For more free designs every day follow us on Facebook. The link to the free pattern is below. Catona Blanket – Free Crochet Pattern is here. Don’t forget to Like us on Facebook. For more ideas and free crochet patterns join our Facebook group.